Side note: I used Evernote on my phone to take notes while I read. Because I was traveling and rarely reading in the same place, my phone was something always close by. I was able to type in quotes when I wanted or take pictures of paragraphs. I would love to see our students take advantage of this kind of resource gathering or curating. 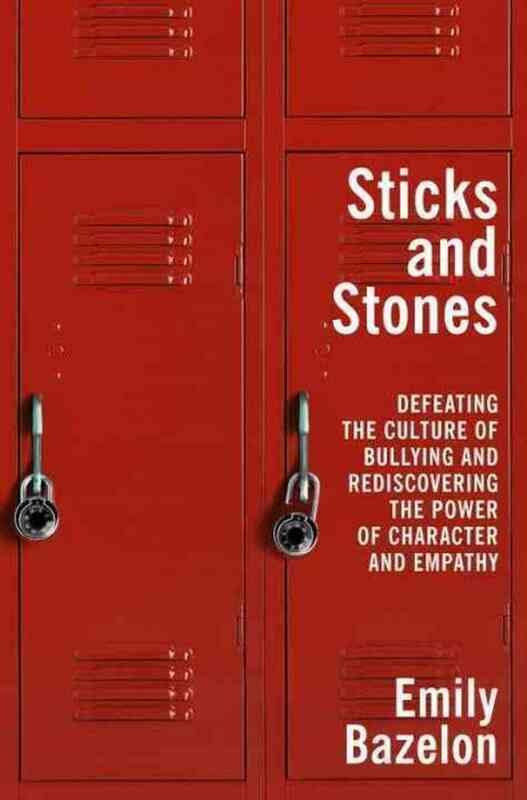 Our critical friends group decided to read a book together this summer and put together a LONG list, but eventually we settled on Sticks and Stones, by Emily Bazelon. Since our group has teachers from PreK to Seniors, social/emotional dynamics came out as a common topic that applied to everyone. I’m glad that I personally read it, rather than just listening to a summary or review on the radio. It was valuable to me to read the complicated stories of the three kids because it broke down the media sound bites that I remember. I think Bazelon does an excellent job of making it clear how complicated each tale is. “Teenagers, and even young kids, have to have their private spaces. It’s a tricky balance to strike, the line between protecting kids and policing them.” (13) Yes yes yes. And I will probably freak out about it when my son is a teenager too. “The research showed that news outlets frequently give no useful information about how to prevent bullying, even as they call it “epidemic” – false – and portray it as the biggest problem kids face today – also false.” (297) Can I make myself remember this next time a sensationalist story comes along? From researcher danah boyd: “the kids who live in places where physical roaming is more restricted who tend to socialize the most online.” (306) I’m most fascinated by this from a parenting point of view. Where do I need to live in order to provide space for my child to roam? This is more of a personal link, but I like the resources on Free Range Kids. This may be my number one takeaway: the importance of establishing a positive community for the healthy growth of all its members. Bazelon comes back to this at the end where she states that developing “character and empathy” (305) are the most crucial things we can do as parents and teachers to proactively address bullying, not to mention improve student success (however you want to define success). Overall, this book has been a positive affirmation of the independent international school where I grew up and the two independent schools where I have taught. These small communities, where each individual is known and cared for, provide the foundation for all other pursuits. I realize now how much I took that for granted in my first years of teaching as I focused almost exclusively on academics. I appreciate the candor and humanness with which Bazelon approaches this subject, which is quite messy and emotionally loaded. One of my favorite phrases recently has been “the human condition,” when I’ve been faced with messy interpersonal relationships. Maybe it helps me feel like we are all in this together.